Do you want to add the refreshing vibe of spring to your daily planning? 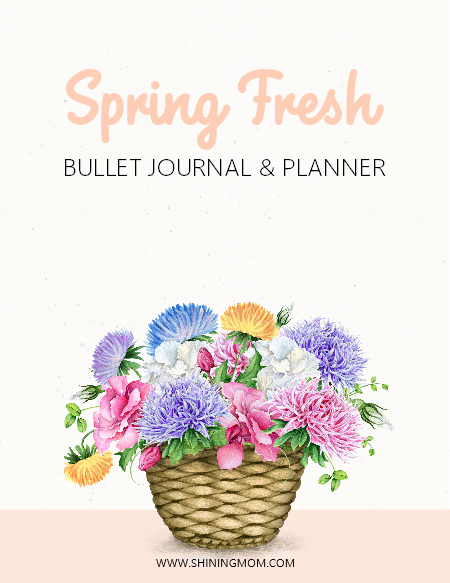 I guess you’ll love my spring-themed printable bullet journal layout with productivity planners that I am sharing with you! 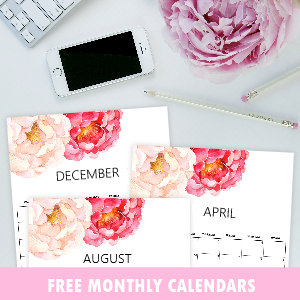 I have also included pretty stickers, calendars and other planning templates that you can use right away. 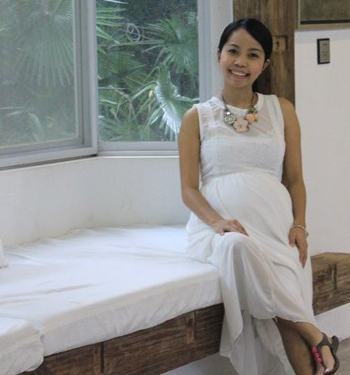 Yup, it’s another beautiful day here at Shining Mom with fresh freebies to snag! 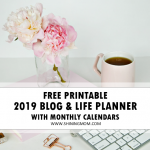 Whenever I am done creating a free printable planner to share here on the blog, my heart skips a beat. I am imagining the excitement of the lady printing out the pages and all the hopes, ideas, and dreams the whole planner brings to her. Ahh, this blog. It gives me so much inspiration to keep going. Oh, the joy it brings to me! I love designing planning templates and creating bullet journal layouts and the whole idea of having someone enjoy my creations warms my heart like no other. I hope you’re one of those friends across the miles that I may have never met yet but have touched or inspired in a way or two. I feel blessed to be able to bless you. 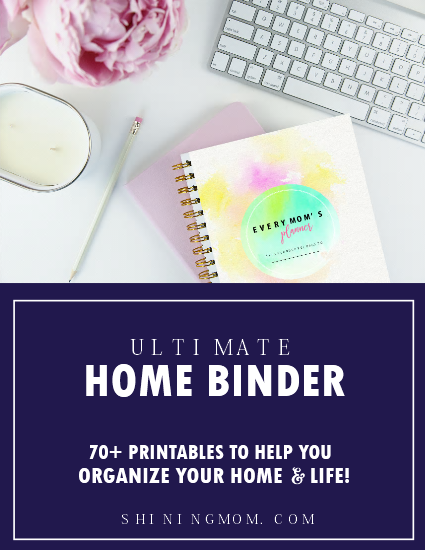 I am always happy to help you stay organized and productive using my humble creations! Today’s binder freebie is another work of heart. 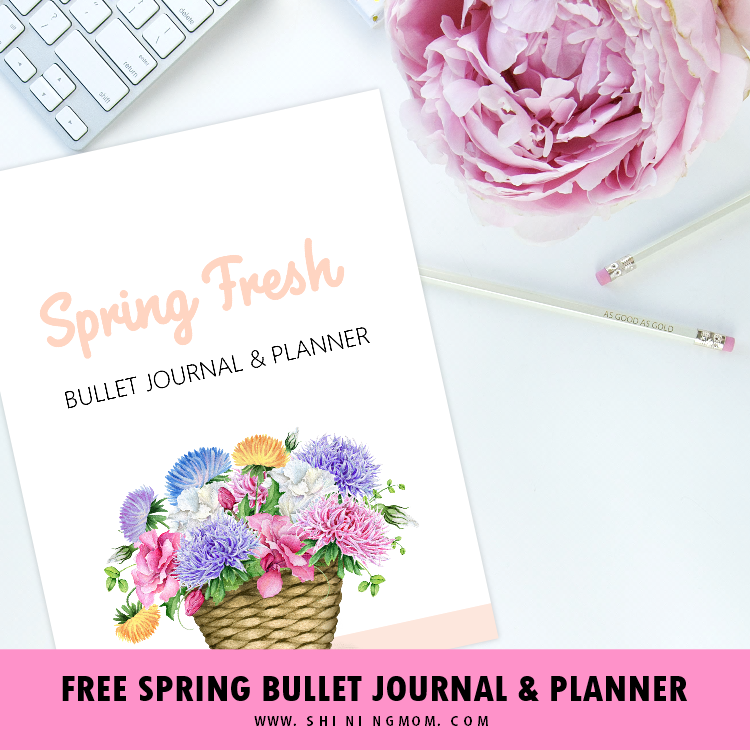 It’s a fully packed spring-themed bullet journal and planner that I believe can be helpful for you in navigating your day. They are designed to help you be all the more productive! I am so excited to share them with you. 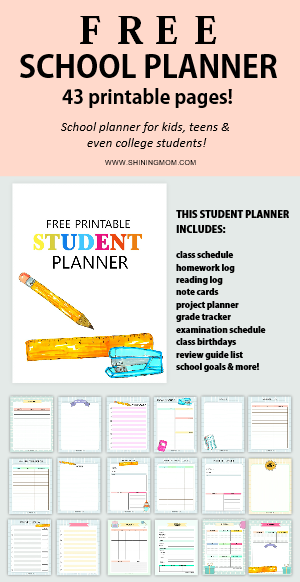 Check out these pretty planning pages! 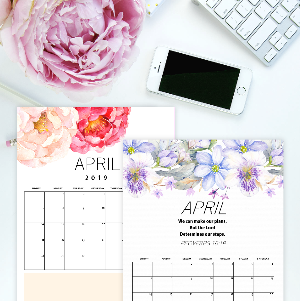 Let us start with the spring-themed productivity planners that I have included in your download. These planners come in brilliant layout that will help you organize your schedule blissfully. They are also designed to help you have a lovely day with the gorgeous and vibrant flower elements by Dennise Anne. Let’s start with the cover page of the planner, shall we? I just love this beautiful planner cover. Look! 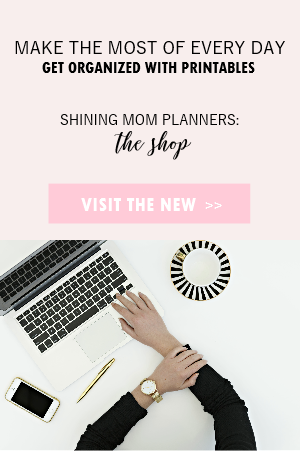 Moving on are the planner templates that are for ready-use. 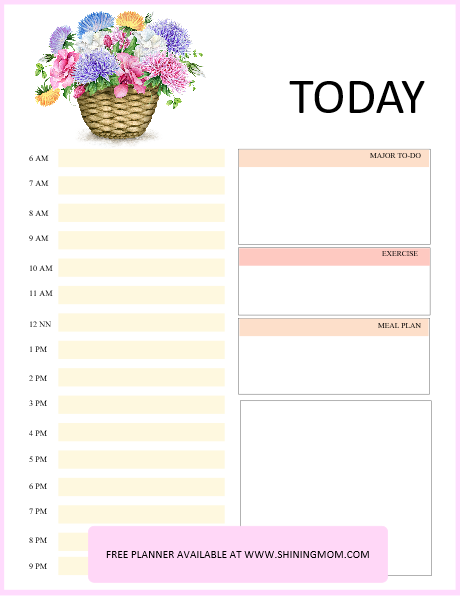 Case in point, this pretty daily planner that will definitely make every hour of your day carefully planned out. Take a look at the time blocking layout of this one! 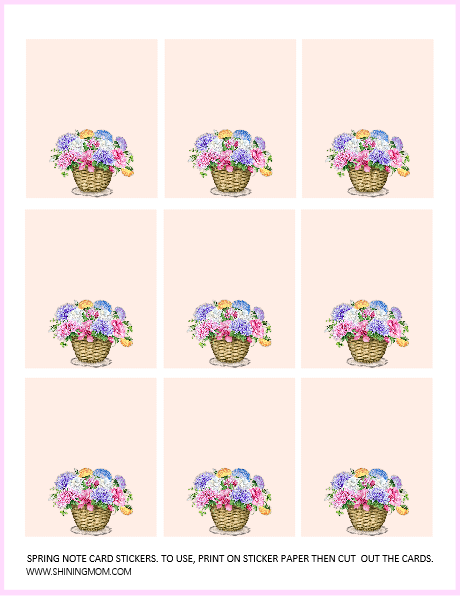 And hey, just in case you have a more brilliant layout template in mind that you would like to use for your bullet journal, I have also added a blank version of this page with just the floral basket design so you can add your own doodles and scribbles! 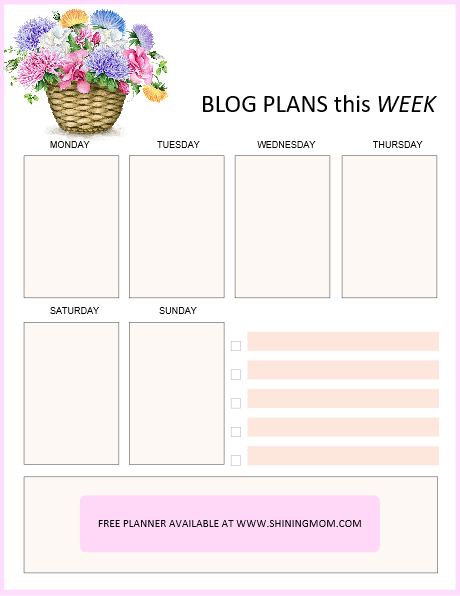 If you’re a blogger just like me, I’ve also added a sweet blog planner for you! Next up are printables for your bullet journal. 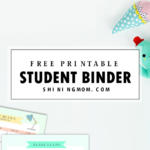 This section includes pre-made bullet journal layout, stickers, dotted sheets and more that you can print and use immediately. Let’s take a quick stroll! Keep going to view the pages. 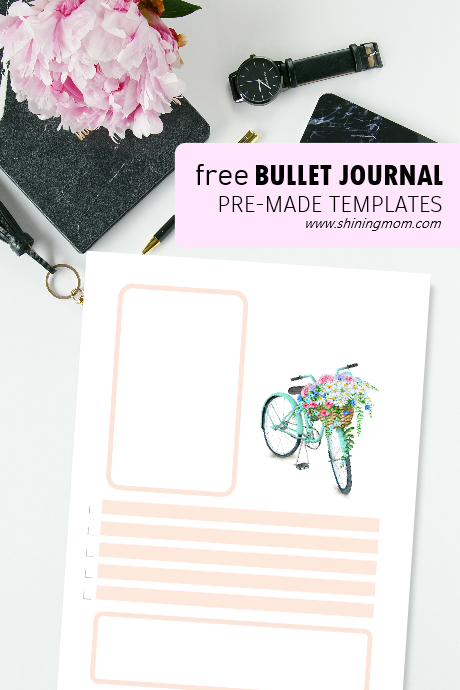 You’ll find pages like this pretty bullet journal page with the pre-made layouts. You can add your own scribbles and titles onto this page! You will also be getting printable stickers that you can use in your bullet journal. These stickers are perfect to use as mini note cards. To use, print them onto sticker paper, cut off the stickers and use! 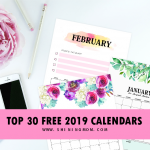 Well of course, I did not forget to include your spring monthly calendars! They come in bicycle-theme with floral baskets. These monthly calendars come blank so you can use them for any year. They are oh-so-lovely! Take a look! Ready to snag ALL these amazing freebies? Here are the printing reminders! 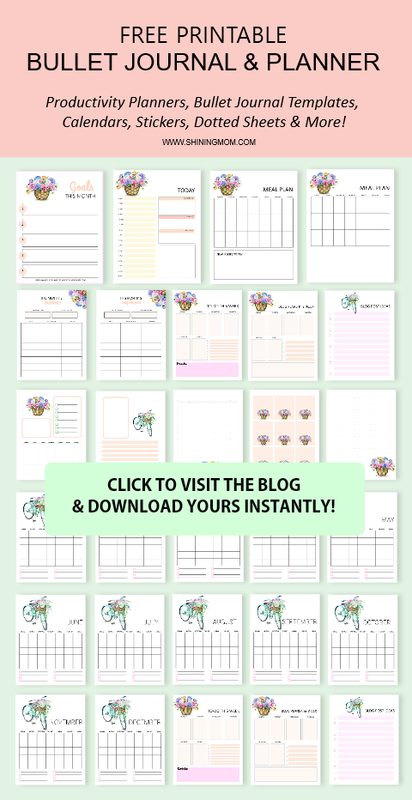 GET YOUR FREE PRINTABLE BULLET JOURNAL LAYOUT & PRODUCTIVITY PLANNER TODAY! DOWNLOAD YOUR FREE PRINTABLE BY SIGNING UP TO OUR MAILING LIST HERE. 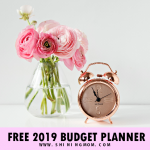 No time to print your planner yet? Pin this post on Pinterest for future use! 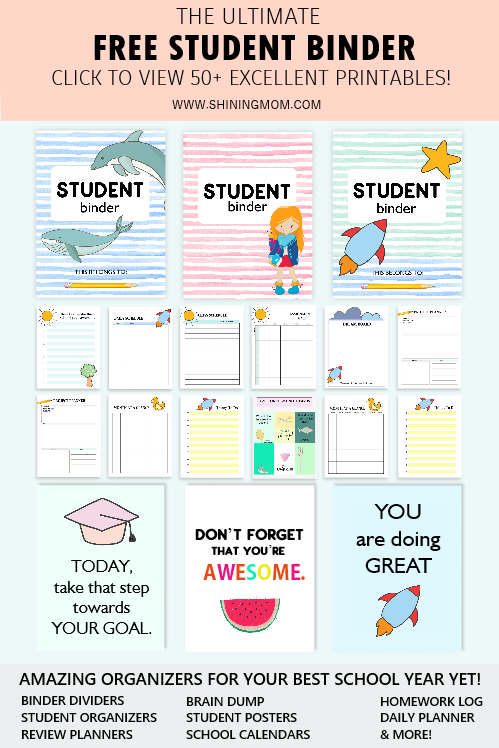 Lastly, you may also check out the rest of our free printables here. Happy planning and have a great day ahead! 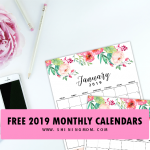 « Monthly Budget Template Binder: 30 Free Printables for You!